It's March already, but this winter doesn't want to go away, frosts and snowstorms still don't give way to spring. That's right, it's the Moscow weather at the beginning of March this year. There have been years, when there was almost no snow, the sun was shining, and the pavements were dry already at this time of the year (in cities, of course). However, this will eventually happen, spring will come, and it will bring precursors of warmth, which is so unpleasant to modern 3D accelerators, especially of the High End level, because they are heated much even without it. 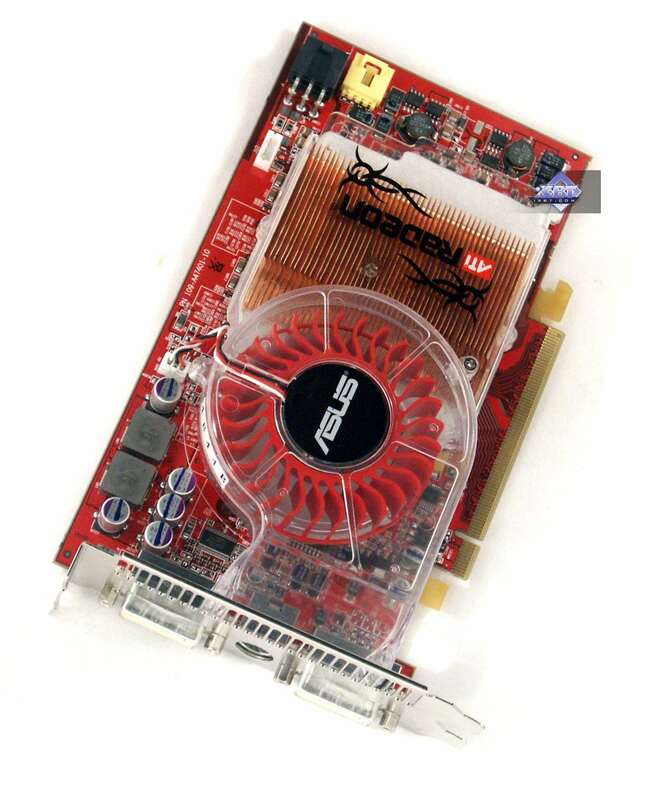 Even the overheating of the notorious GeForce FX 5800 Ultra with FlowFX seems not that striking (as it used to be in the end of 2002). That's why additional cooling inside modern PC cases is almost mandatory for these days. Details will be provided below. 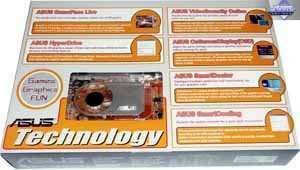 So, we are going to review the new products from ASUSTeK, a long-time resident on the Russian market. 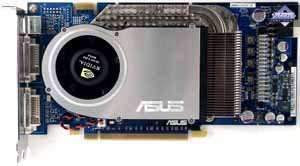 They concern products based on processors both from ATI and NVIDIA. 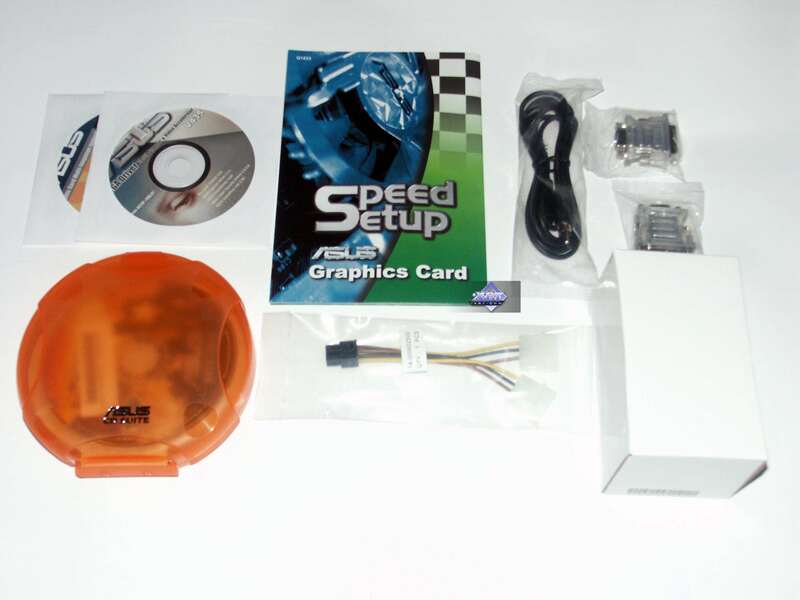 As is well known, the company works on a universal scheme, it cooperates with both graphics processors manufacturers (like many other brands). 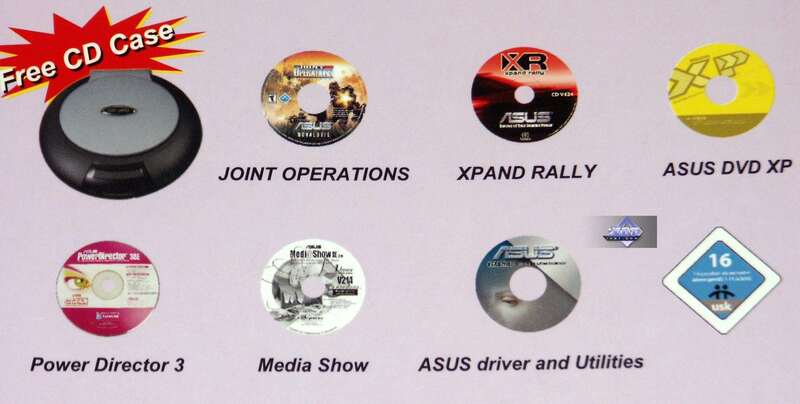 That's why it'll be very interesting to find out about the new ASUS products for the PCI-E sector. 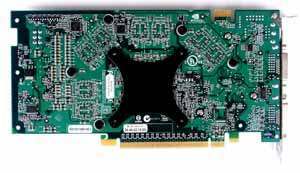 Besides, the 6600GT AGP is also of current importance. 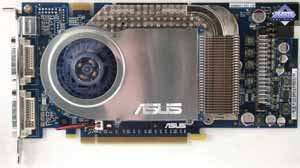 Note that all video cards, except for one (based on RADEON X850 XT PE), are manufactured by ASUSTeK itself. 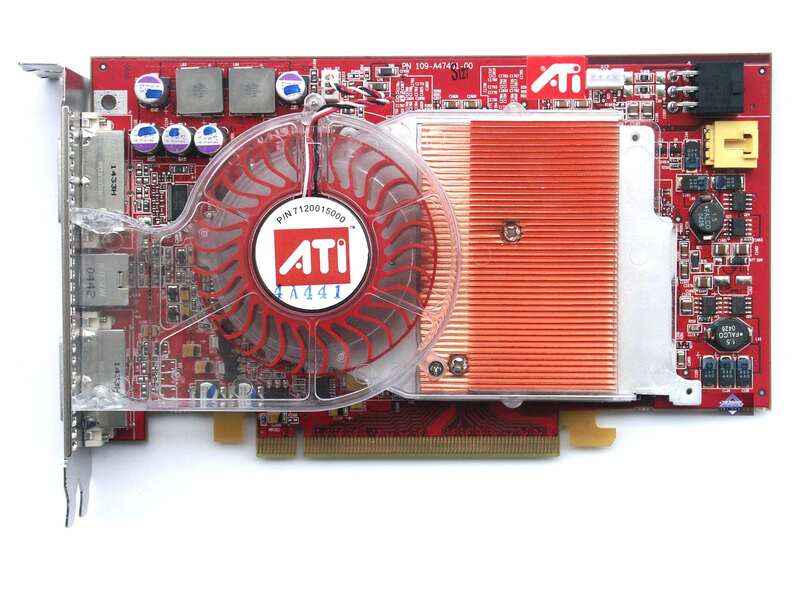 What concerns the X850 XT, it's well known that they are still manufactured on a single plant by ATI's request, so they are all the same (only HIS installed its own cooling system). 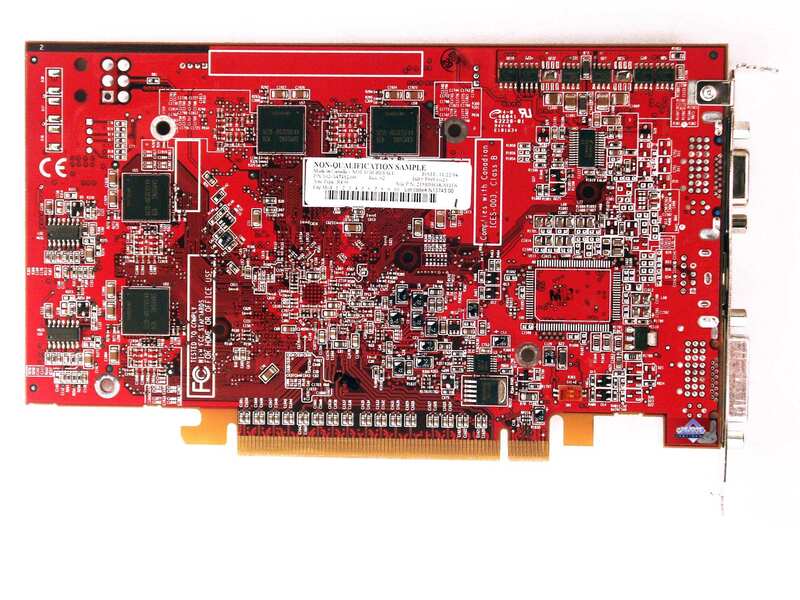 There is no point in explaining what PCI-E cards are and what they are for, I guess. We have written about them many times. This sector is currently rapidly growing. 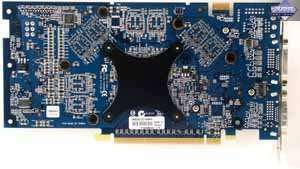 Dimensions: 220x100x32mm (the last figure is the maximum thickness of a video card). 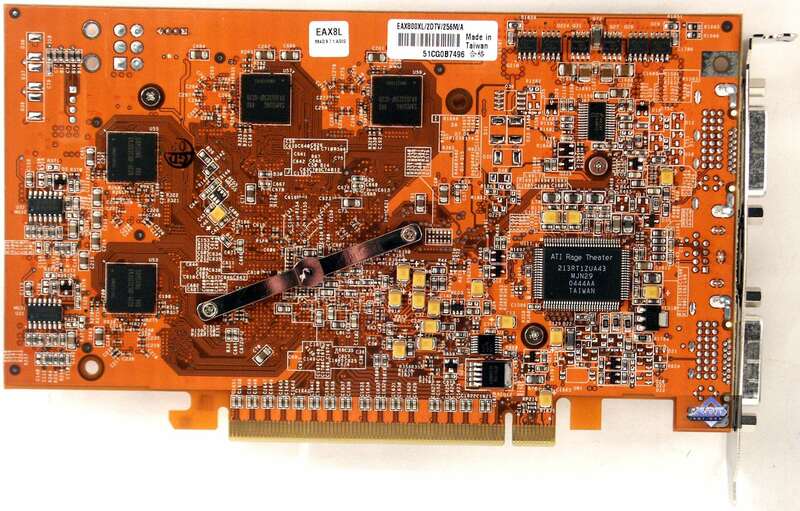 Dimensions: 220x100x17mm (the last figure is the maximum thickness of a video card). 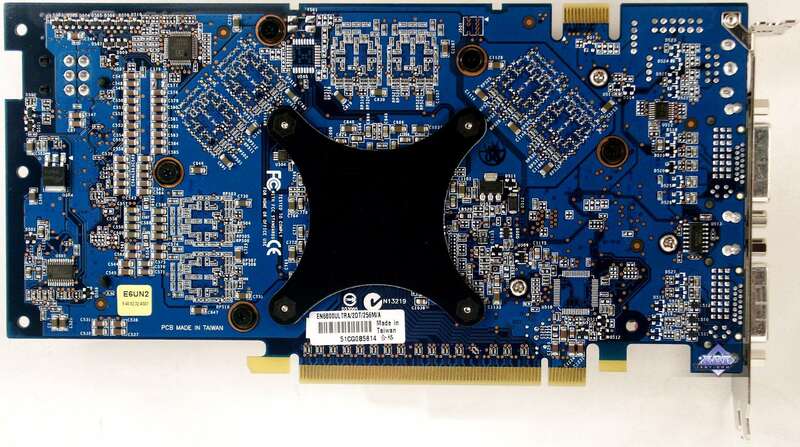 Dimensions: 175x100x18mm (the last figure is the maximum thickness of a video card). 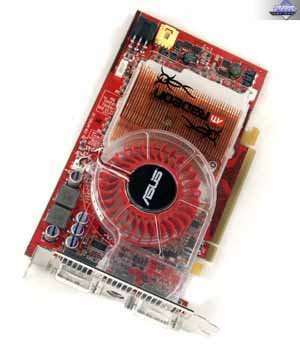 Dimensions: 190x100x36mm (the last value is the maximal thickness of a video card at its cooler). VIVO: available, based on RAGE Theater. 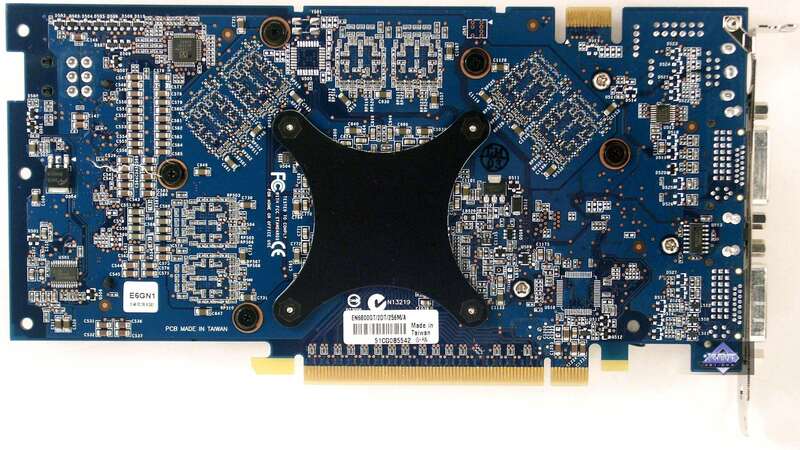 Dimensions: 190x100x17mm (the last figure is the maximum thickness of a video card). 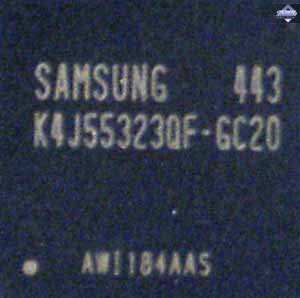 Well, it seems we again have reference design copies. 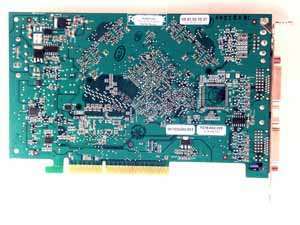 But this is good, especially for High End cards, because the PCB layout is obviously very complex and the slightest glitch in calculations may have a negative effect on operating stability. 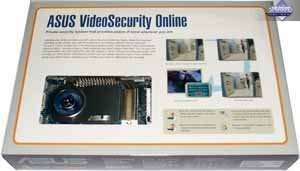 What concerns reference designs, they are thoroughly tested. Besides, the experience of mass-volume production by various manufacturers may indicate whether the design is good or bad. 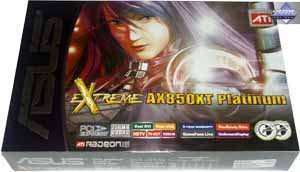 But I repeat that all the cards except for one (X850 XT PE) are manufactured on ASUSTeK plants. 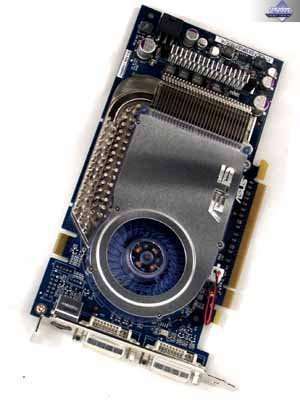 Even GeForce 6800 Ultra! 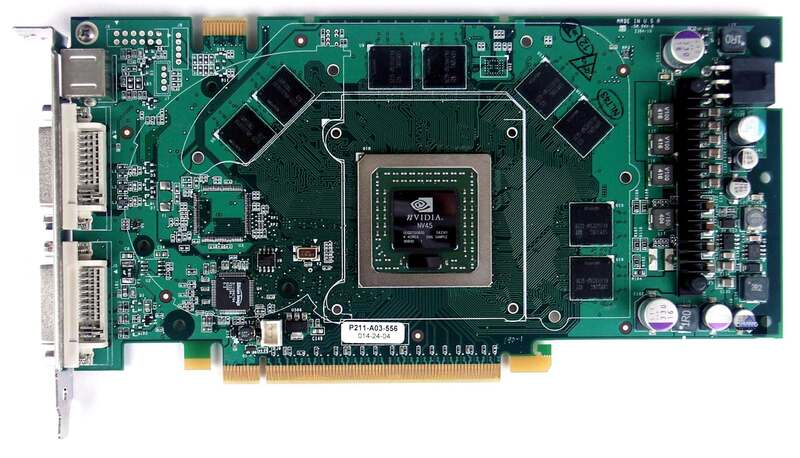 We have previously seen all video cards based on this processor - even copies and reference cards, manufactured by NVIDIA's request on some third party plants. 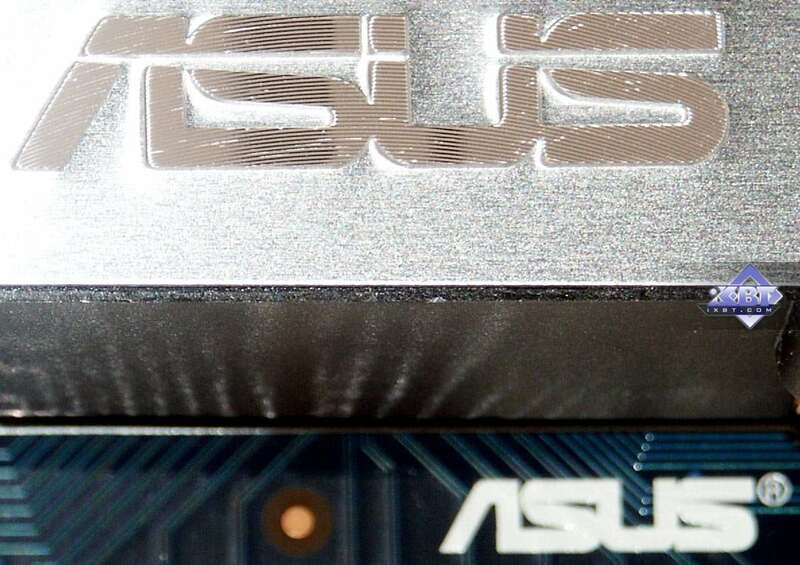 But there is still a small difference between the X800 XL from ASUS and the reference design: a fan power connector is shifted a tad to the right. 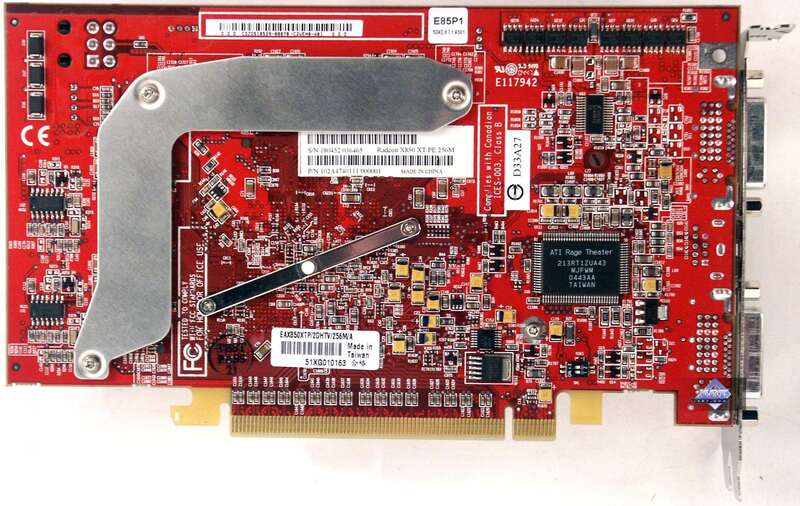 We should say a few words about monitor connectors: in fact only one card based on the 6600GT has both DVI and d-Sub. 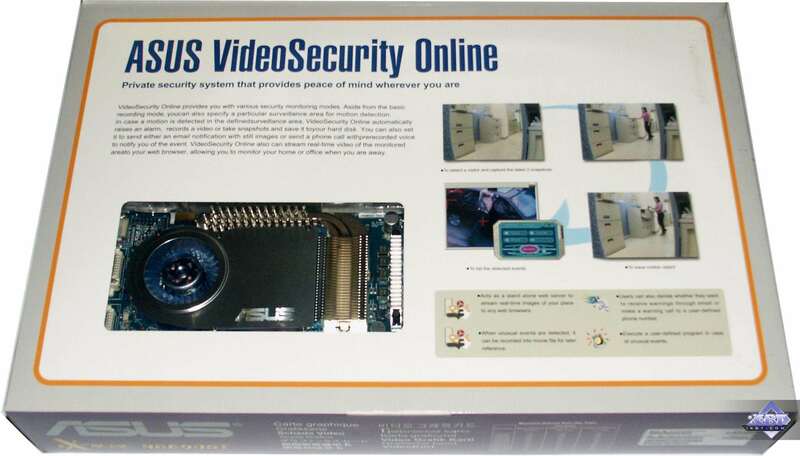 The other products are equipped with two DVI connectors. 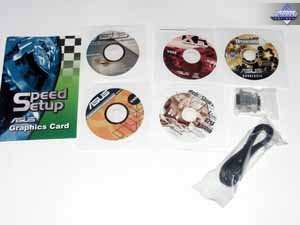 However, the bundles include adapters, so owners of monitors without DVI interfaces will be able to use such cards. All the cards, except the X800 XL, have connectors for additional power, bundles of the PCI-E products contain adapters from 6-pin to regular 4-pin connectors. 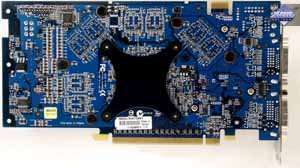 It's a reference cooling system offered by NVIDIA. 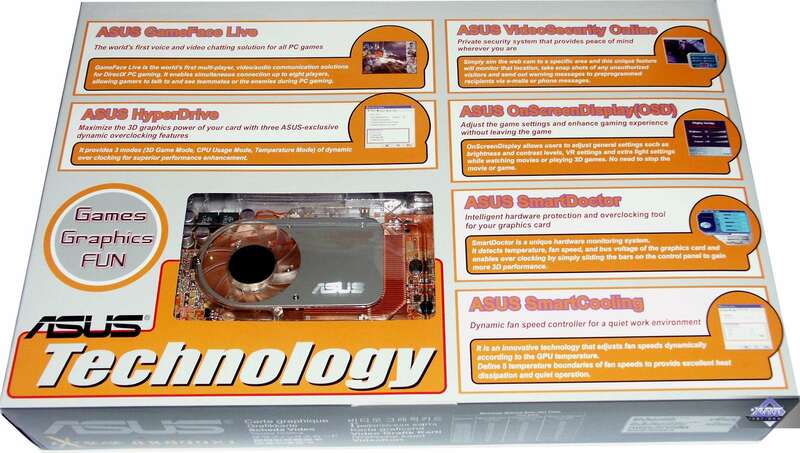 ASUS just added a cover on the heatsink :). 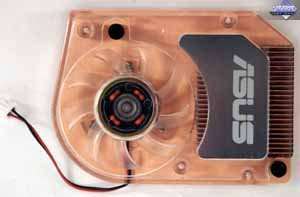 It consists of three parts: a copper base, installed on the core; plastic housing with a turbine (shifted to the left) and a typically curved memory heatsink. The turbine drives air through the core (and cools it) and then cools a heatpipe with low-boiling liquid, which goes along the entire length of the curved memory heatsink. The air also contributes to cooling the heatsink on voltage regulators. The turbine operates at 3000-7000 rpm. We'll describe the noise below. A similar cooling scheme, but it's significantly narrower and has an illumination. 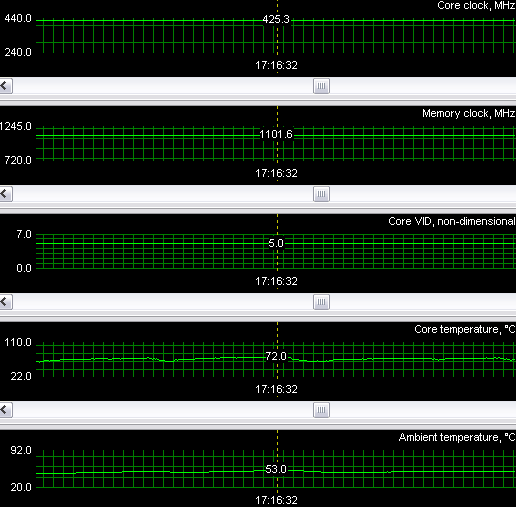 The noise is more irritating than in the previous device due to the narrow heatsink. Details will be provided below. 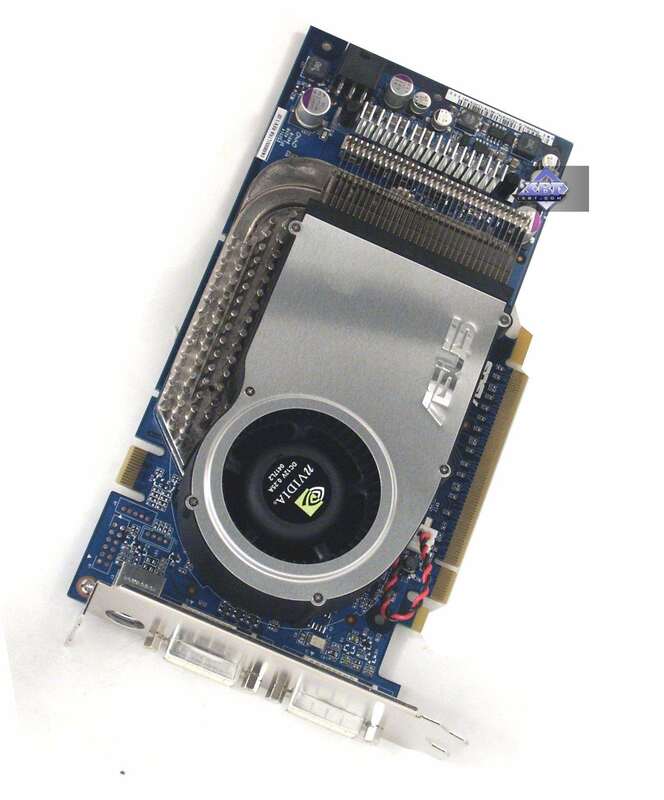 I call such coolers "a la GeForce4", i.e. 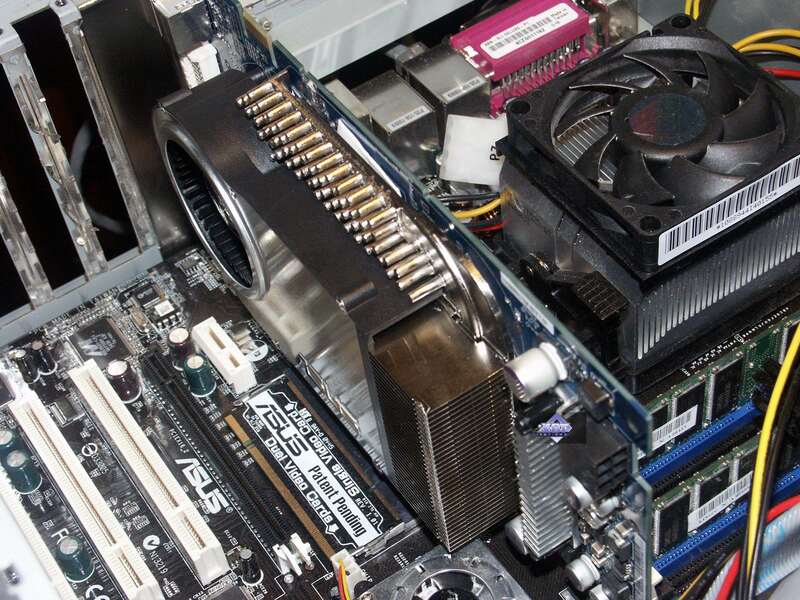 it has a closed heatsink with an off-center fan, which draws the air in and drives it through the grid over a graphics processor. 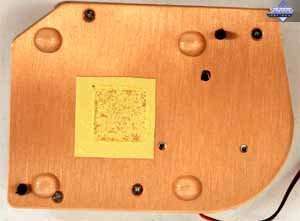 The heatsink has a copper base. 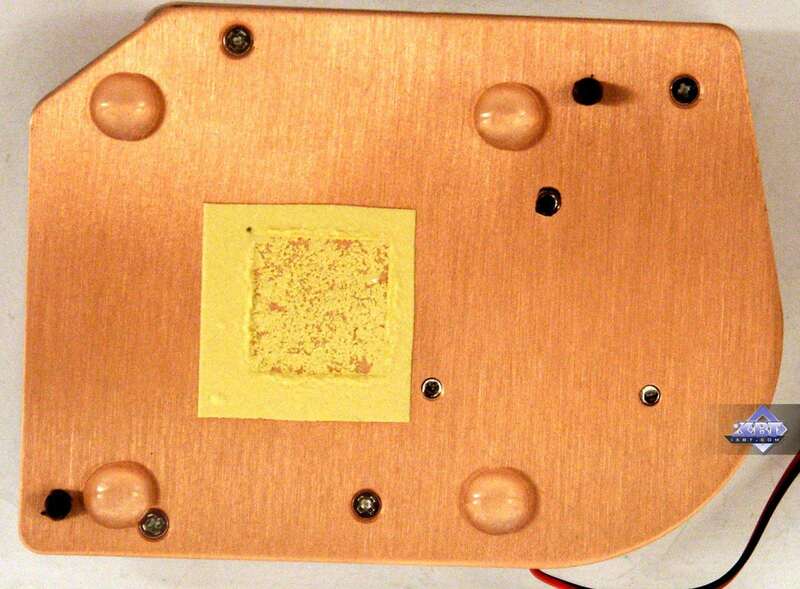 The HSI bridge has its own plate heatsink. It's this heatsink that creates major overheating problems. 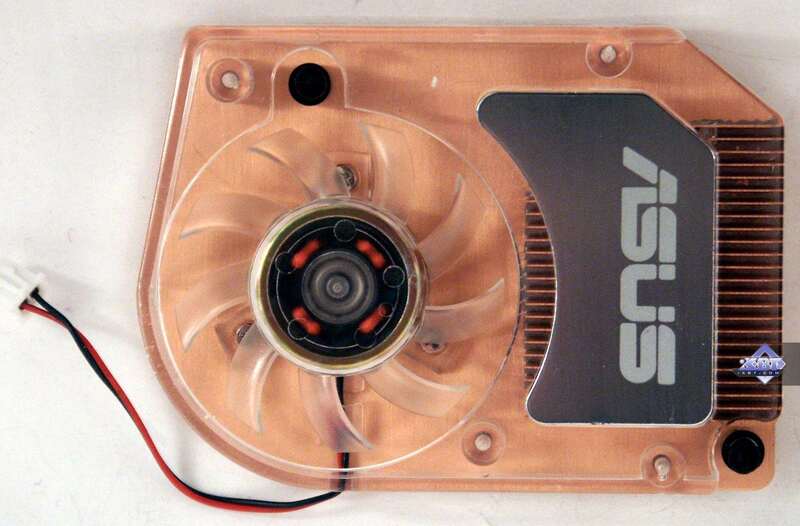 The fan rotates at 2500 rpm. We'll describe the noise below. 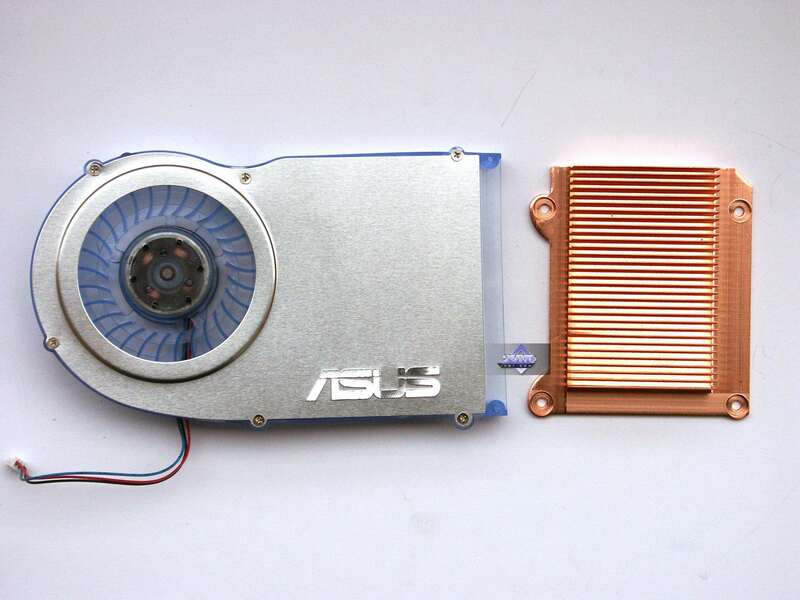 It's a closed type cooler with a large copper heatsink. 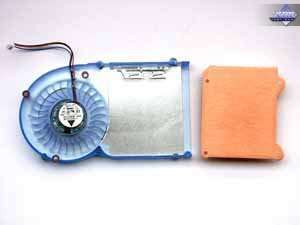 The fan is shifted to the left, it drives air through the fins of the heatsink over the core. 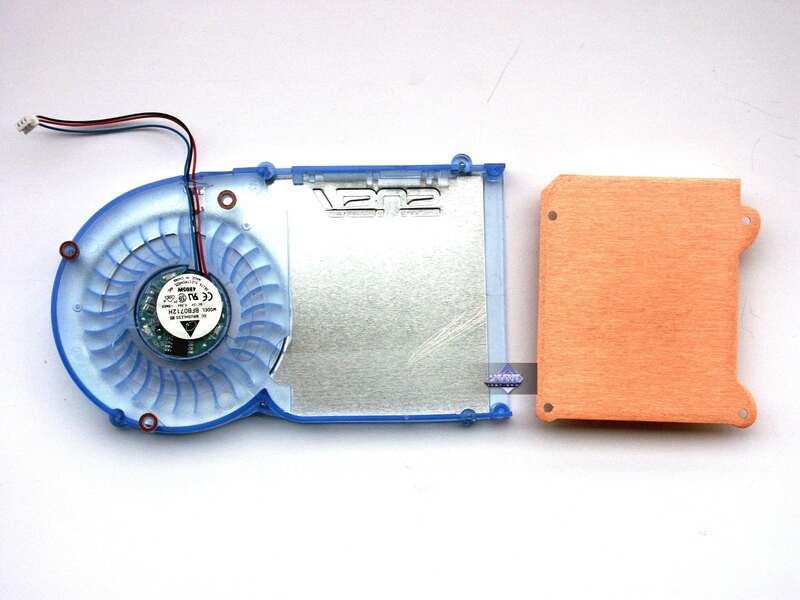 The fan rotates at about 3000 rpm. 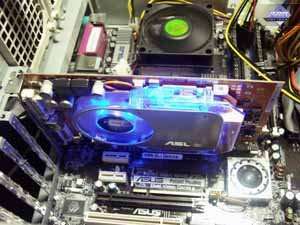 The cooler has an illumination. Let's proceed with the examination of cooling systems and the resulting video card dimensions. It's a two-slot cooler, so the card takes up much space in the system unit. 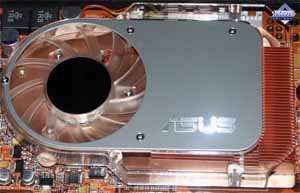 You should also take into account that the accelerator requires much empty space around it for better cooling. 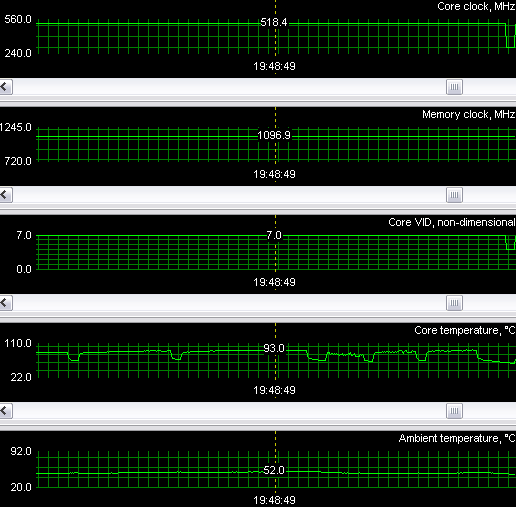 Startup noise is rather high, it abates only in 5-8 minutes of operation in 2D mode. You can watch a video and evaluate the noise at this link (2.6MB, AVI DivX 5.1). 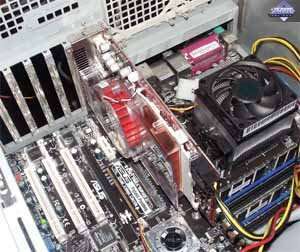 The cooler is narrow but it still requires much empty space around the card for better cooling. Concerning the noise — everything is like in the previous product, but the noise level is higher: that's the effect of the narrow heatsink housing. You can watch a video and evaluate the noise at this link (2.9MB, AVI DivX 5.1). 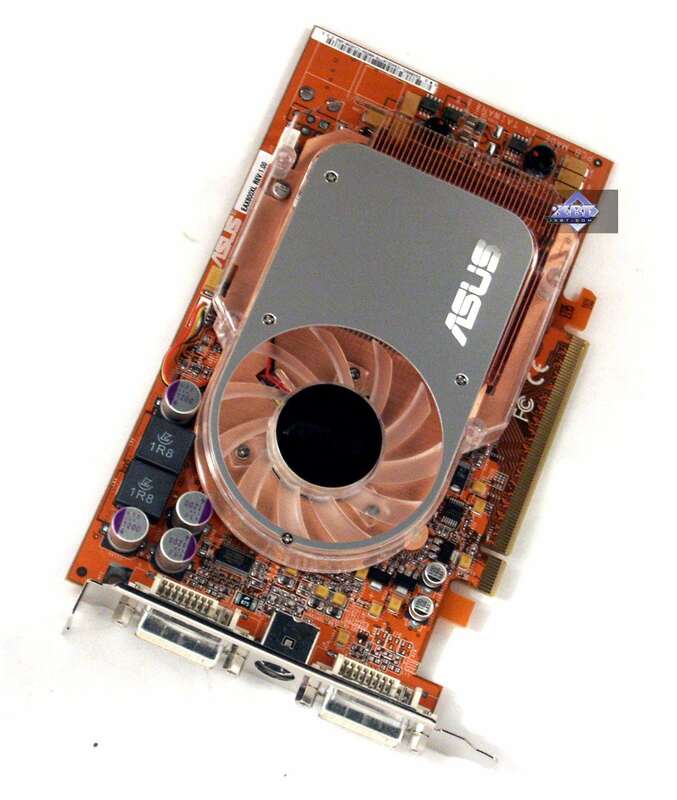 The cooler makes almost no noise, but it cools only GPU. 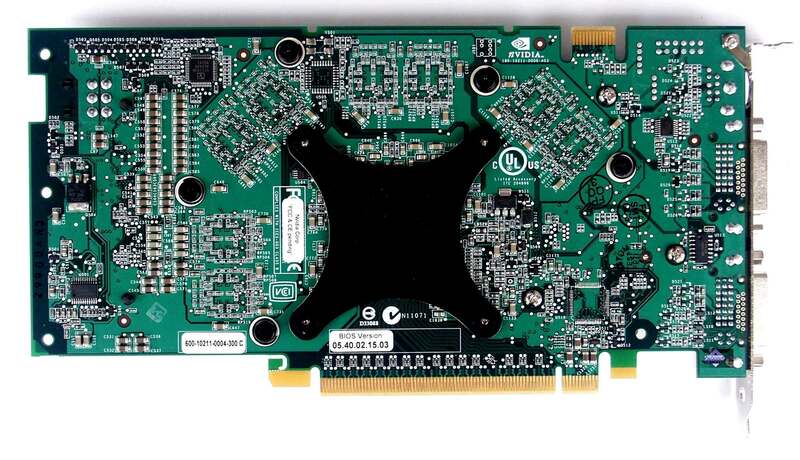 The HSI bridge has a simple heatsink, which gets overheated and heats the entire card, which is not very good. 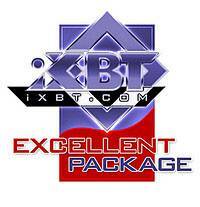 You can watch a video and evaluate the noise at this link (4.2MB, AVI DivX 5.1). You may have already read about the roar of this turbine in previous articles devoted to a similar card. 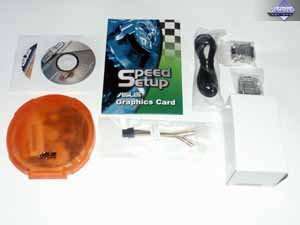 But you will hear it only at startup, it will abate noticeably after a couple of seconds. 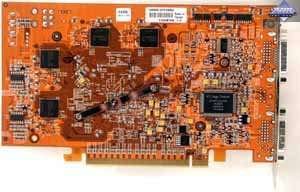 You can watch a video and evaluate the noise at this link (3.3MB, AVI DivX 5.1). 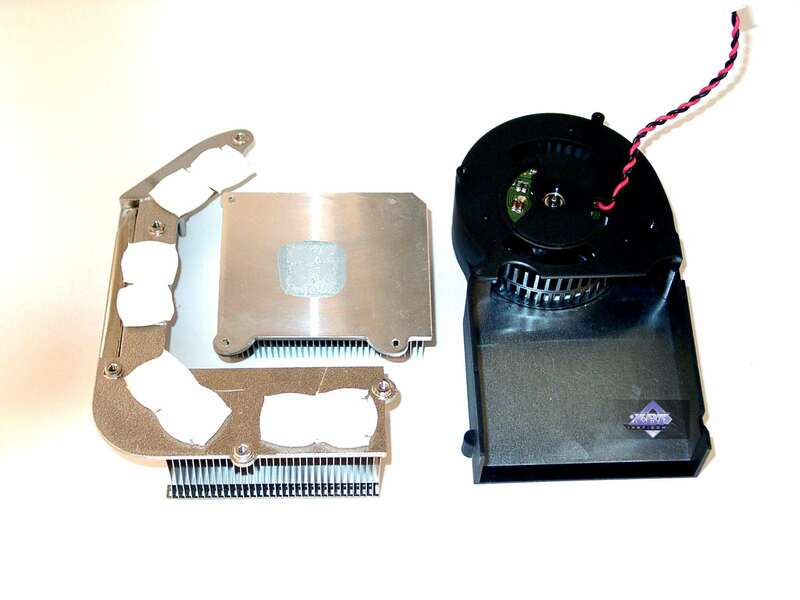 The cooler is quite effective and quiet, even though its heatsink is narrow. 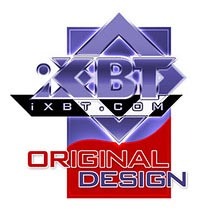 You can watch a video and evaluate the noise at this link (3.1MB, AVI DivX 5.1). 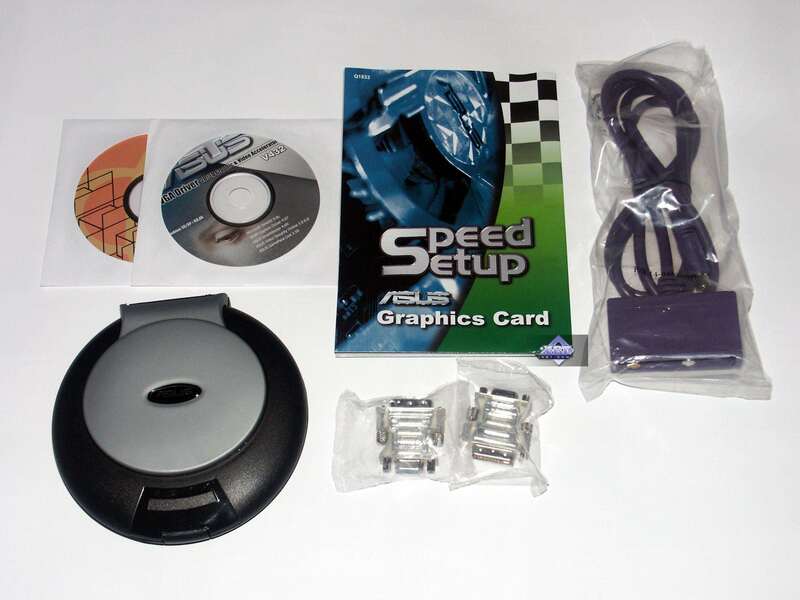 The box contains a user's guide, CD with drivers, ASUSDVD, DVI-to-d-Sub adapter, external power cord, TV extension cord, several games (you can see them on the photo), INCLUDING DOOM III ! And, of course, a Web camera. This bundle is similar to the previous one, for the only exception of DOOM III. 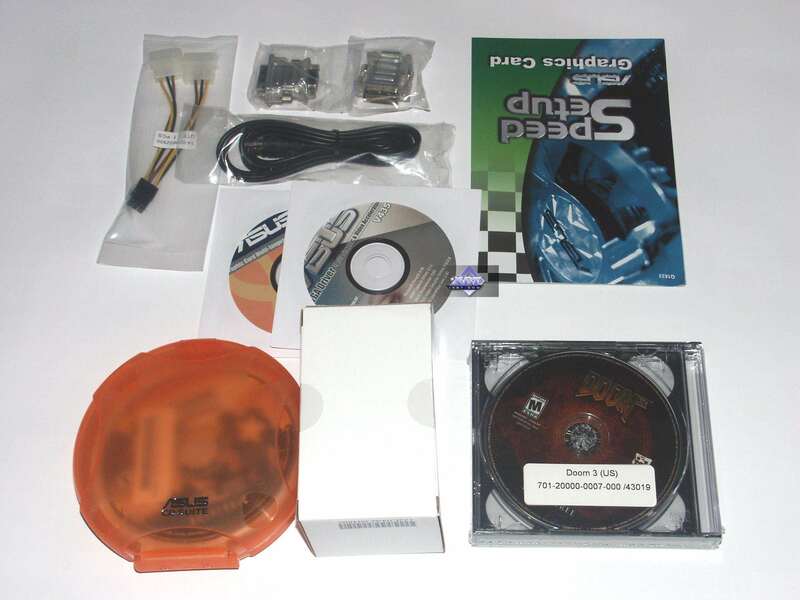 The box contains a user's guide, CD with drivers, several games; DVI-to-d-Sub adapter, TV extension cord. The box contains a user's guide, CD with drivers, ASUSDVD, DVI-to-d-Sub adapter, external power cord, TV extension cord, HDTV and VIVO cables, as well as several games. A similar bundle, except for a HDTV cable and TV cord extensions. I have already noted before that the company tries to make packages as large and bright as possible :-). We have already seen much of it, though: a handle, a lift-up lid. 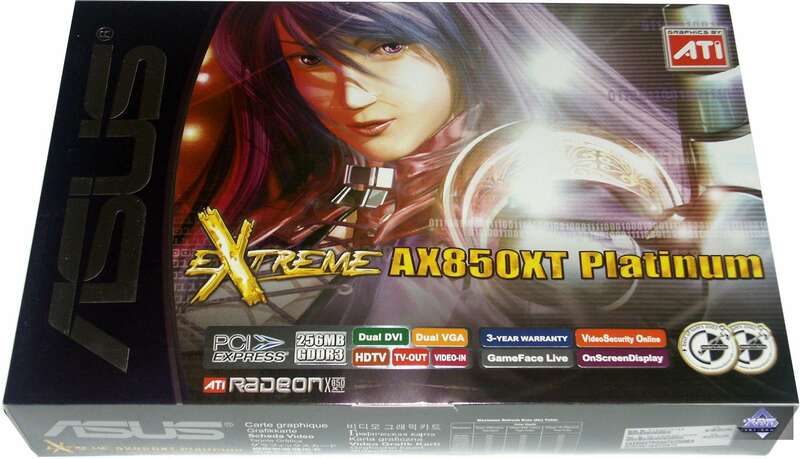 The difference between the box designs in ATI and NVIDIA is interesting: both boxes display people (various fictional heroes), but boxes of the former display females, while the latter — males. A similar box with a window under a lift-up lid to demonstrate the video card. A small box made of thick cardboard, designed in company's style. 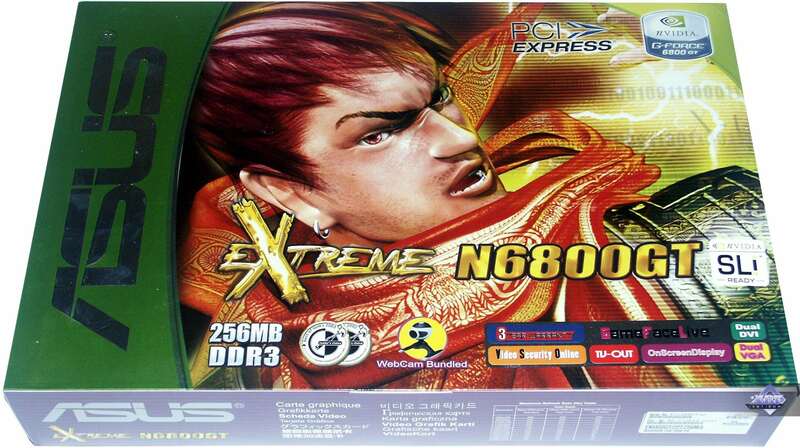 The same box as for ASUS Extreme N6800 Ultra 256MB, but the design is a tad different, I have already mentioned it. 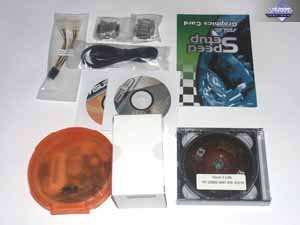 It's all the same, but the box also contains a window to demonstrate the card. 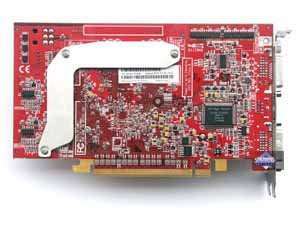 ATI drivers 6.512 (CATALYST 5.2); NVIDIA drivers 71.81. 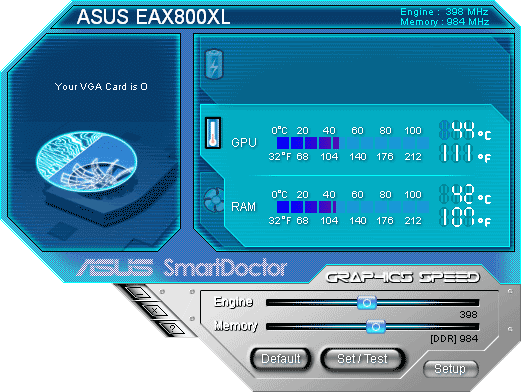 ASUS video cards come shipped with many utilities, but the main utility is SmartDoctor. That's how it looks for each of the tested cards. 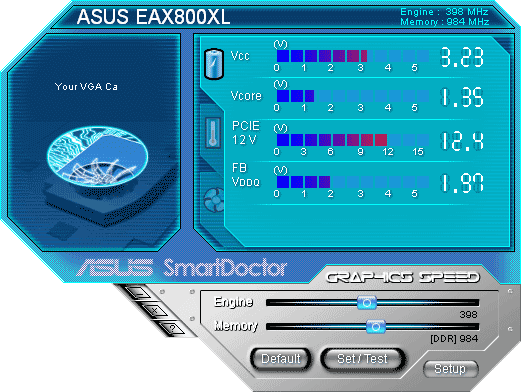 You can see that only the X800 XL is fully supported by the utility: it demonstrates all card's parameters. In all other products you can only control their frequencies. We used the latest version (4.64) of the utility that was available on March 10. Now what concerns the temperature. I used RivaTuner for monitoring cards (written by A.Nikolaychuk AKA Unwinder). All video cards were installed into a closed PC case without additional cooling (only the front and rear fans of the PC case) and worked there for about 2 hours under a constant 3D load (a cycle of our tests). The cooler effect is obvious: the core temperature never rose above 72 degrees. The noise is noticeable though. 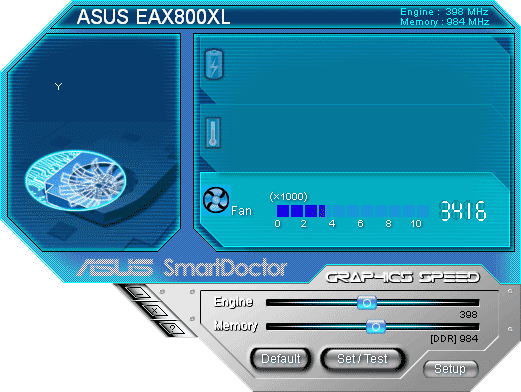 But there is a Gainward utility — ExperTool (unfortunately ASUS didn't develop a proprietary utility!) — that allows to control the rotational speed of fans in all reference NV4x. So I used this utility (it allows to reduce the rotational speed of a cooler by 50% from the nominal value), the noise got noticeably lower. 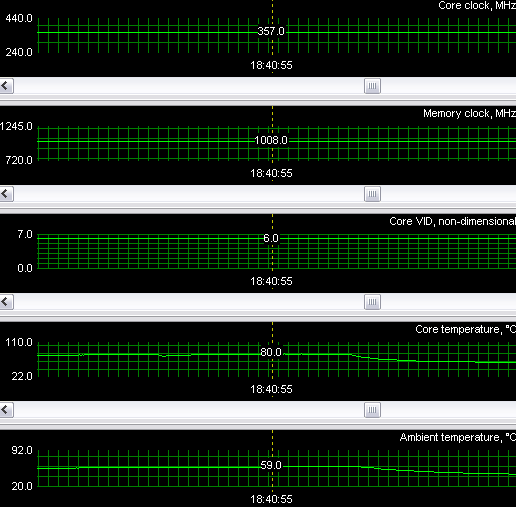 Here are the temperature conditions during our tests in lite cooling mode. As you can see, the temperature got only a tad higher! The conclusion is clear: such rotational speed of the turbine is excessive, half of that speed is quite sufficient. 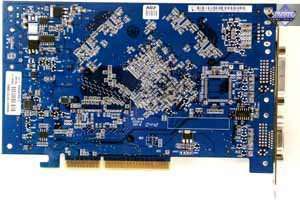 This card gets hotter than the previous one even though it operates at lower frequencies: that's due to the narrow cooler, which is not very effective and very noisy. Just look at this horror! The core temperature exceeds 90 degrees! 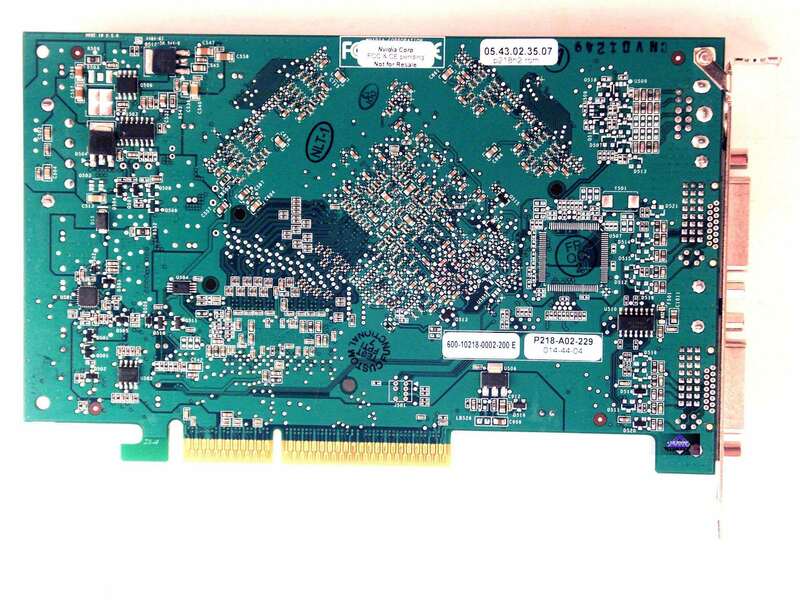 That's the fault of the HSI bridge, which overheats the PCB and channels the heat to the core as well. The card is quite stable though. 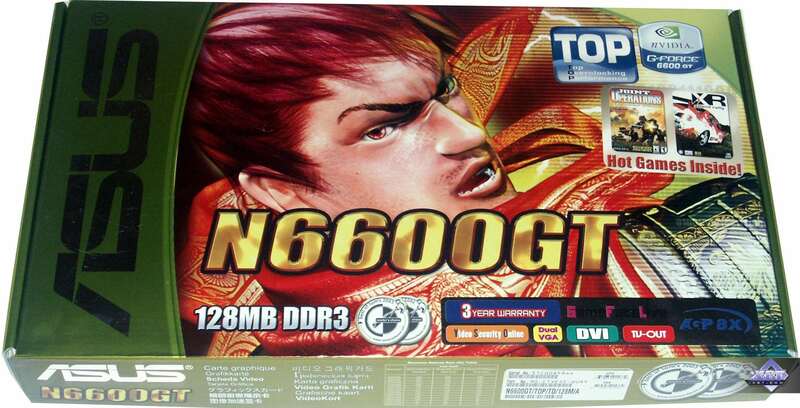 But you should keep in mind that additional fans must be installed in PC cases with such cards! The same horror! Overheating (in our sense of the word) is obvious, though you can see that the cooler never raised its rpm higher than 19% of its nominal capacity. But the card operated quite well, there is nothing to complain about. 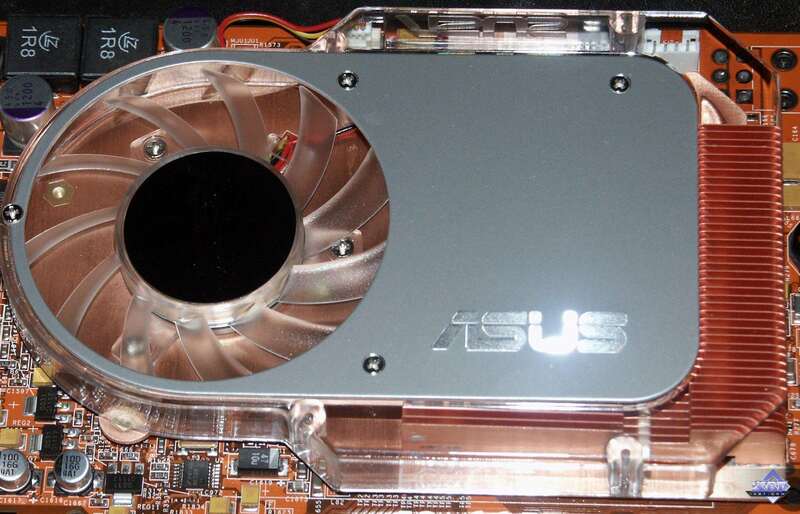 According to the preliminary analysis, the cooler switches to its 100% capacity only at about 100 degrees. 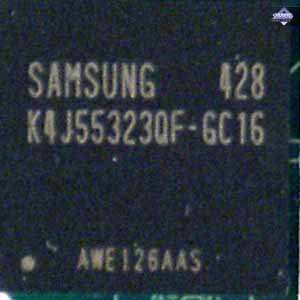 So, either this chip is designed to withstand such temperatures or the sensor readings are corrected on the software level to show higher temperatures. 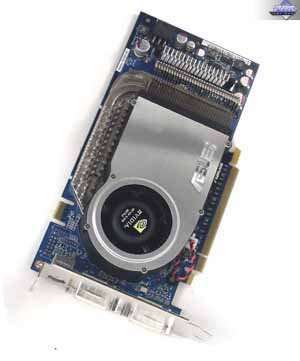 This video card has no problems with overheating, the core temperature doesn't exceed 55 degrees. 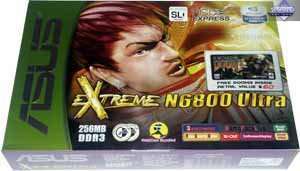 These days ASUS Extreme N6800 Ultra 256MB is nearly the most powerful accelerator based on a processor from NVIDIA. It's certainly an image product at a huge price. It offers excellent characteristics, and its popularity will be up to the price. But such cards are almost impossible to find in Russia, though it's already mid March. 2D quality in 1600x1200 at 85 Hz is excellent. 455/1240MHz overclocking. 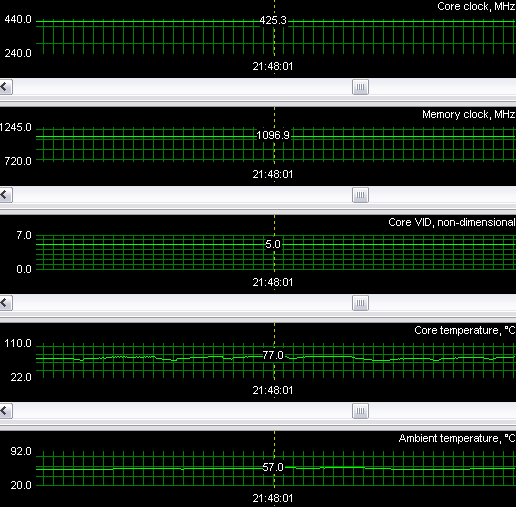 You should keep in mind that the cooler is noisy, so I recommend a Gainward utility — ExperTool. 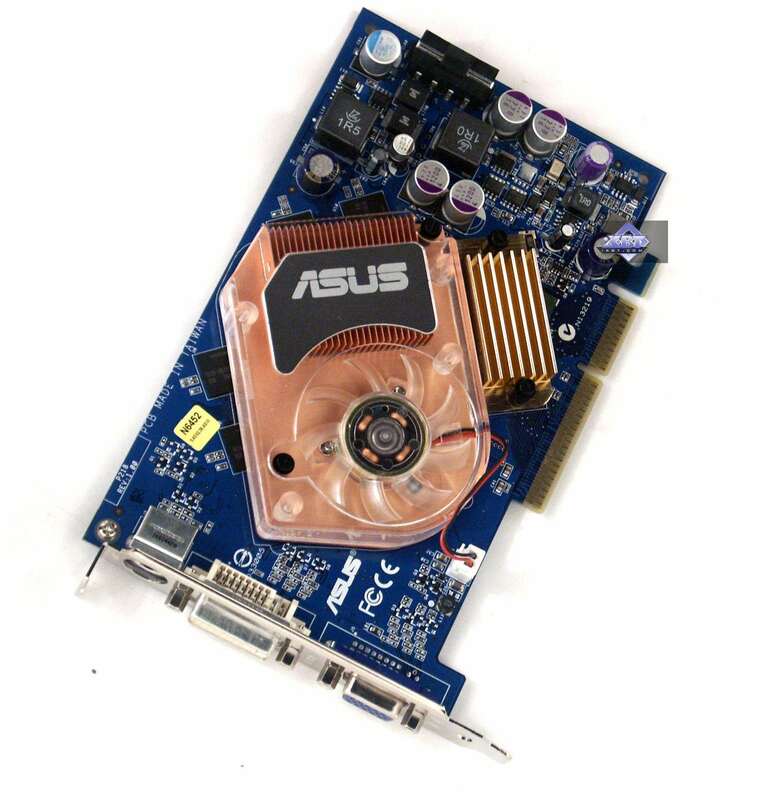 ASUS Extreme N6800GT 256MB is based almost on the same chip, but the frequencies are lower. But on the other hand the price is more acceptable. 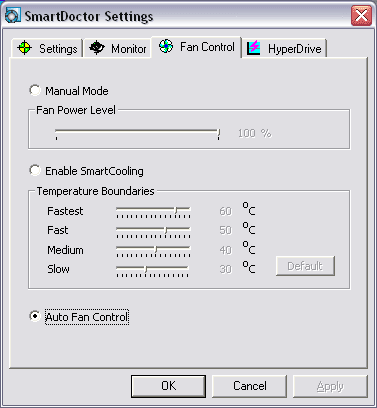 The cooling system design is not good enough, it's no way quiet (I recommend the Gainward utility again). 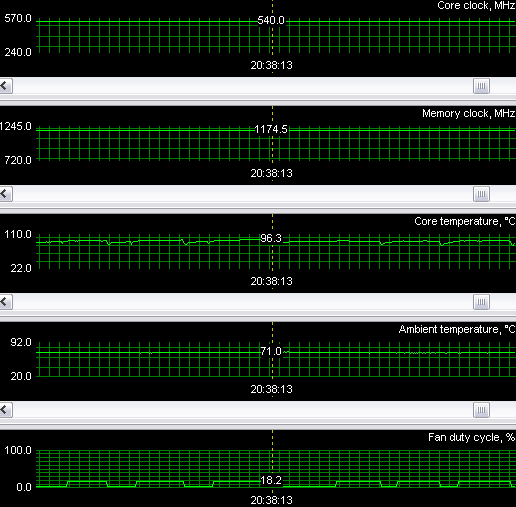 Overclocking — 430/1190 MHz (but I repeat that overclocking depends on a given sample!). 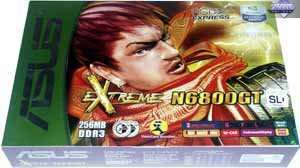 2D quality in 1600x1200 at 85 Hz is excellent. 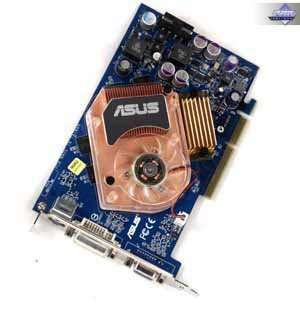 ASUS N6600GT 128MB AGP is nothing special, it's a complete copy of the reference design, but the copper cooler and 1.6ns memory will attract overclockers. Besides, this sample got overclocked to 577/1230MHz! 2D quality in 1600x1200 at 85 Hz is excellent. 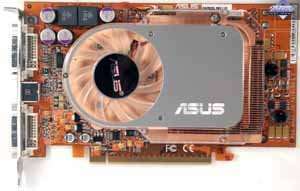 But you should keep in mind that the card gets very heated and additional cooling is needed much. 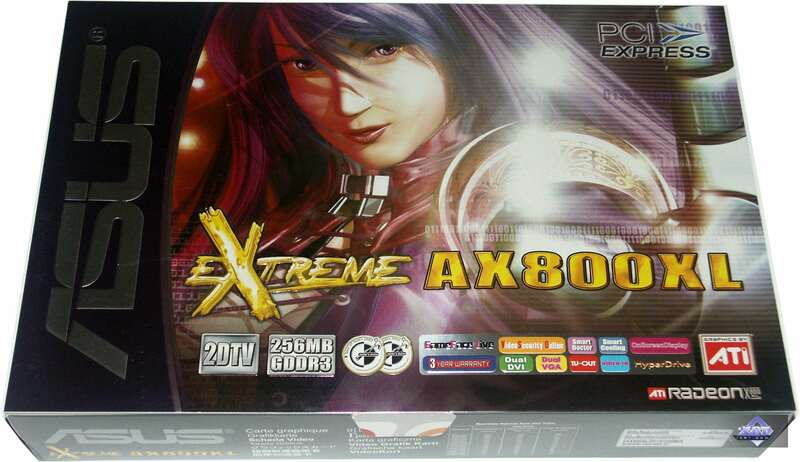 ASUS Extreme AX850XT Platinum 256MB is a reference card, everything is standard in it. It goes without saying that the highest performance in a great number of games (except for NVIDIA SLI, of course), VIVO support - all these features are advantages of this card. 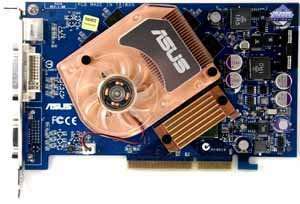 But the potentially possible cooler noise (even roar rather than noise) and the irritating overheating (the card operation is stable, but it's not very pleasant to see 96 degrees on the chip) — all these issues are disadvantages. 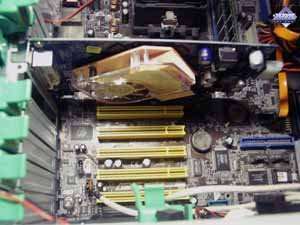 But if there is a good air flow inside a PC case, there must be no problems! The 2D image quality at 1600x1200@85Hz is excellent. 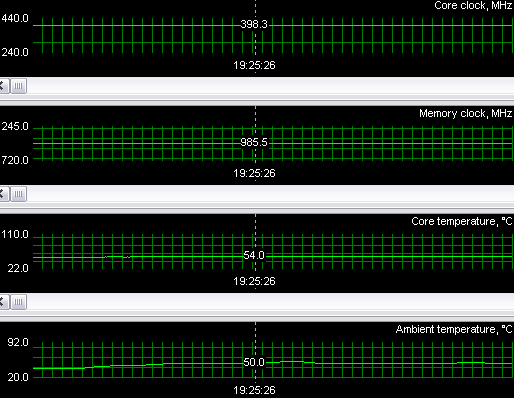 560/1230 MHz overclocking (when cooled). 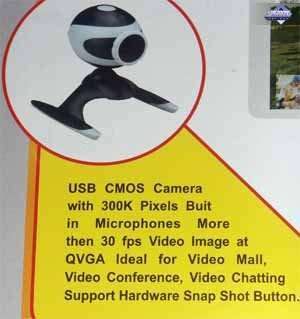 It's certainly an image product at a huge price as well. 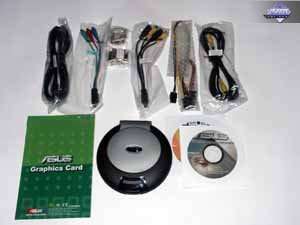 ASUS Extreme AX800XL 256MB is a copy of the reference design, but it has its peculiarities. 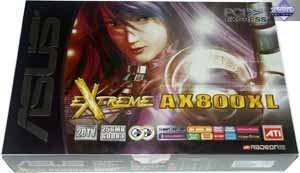 Of course, the price will plummet as for all new products from ASUS, but I hope it won't be too high to make the previous X800 XT a better bargain :-). 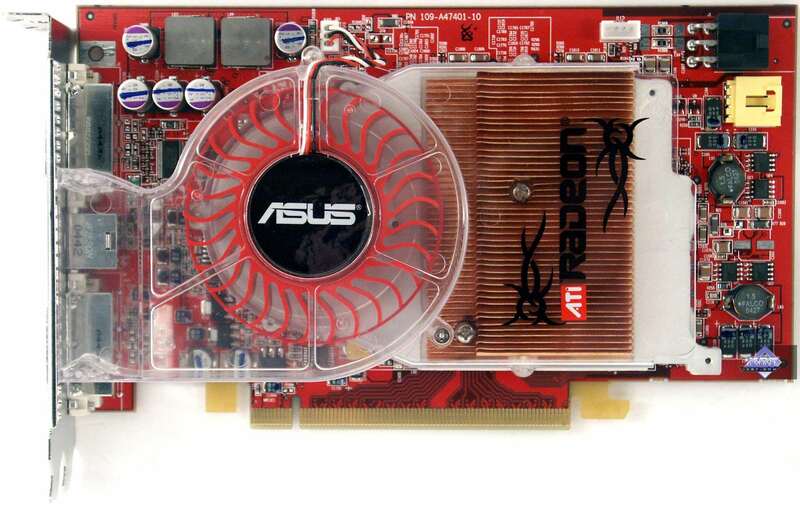 SmartDoctor works with this card very well, modding fans will be pleased. 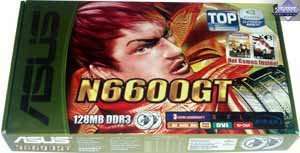 2D quality in 1600x1200 at 85 Hz is excellent. 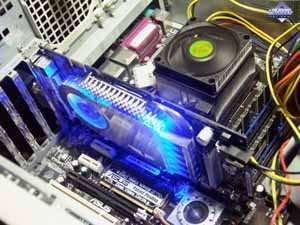 428/1170MHz overclocking. 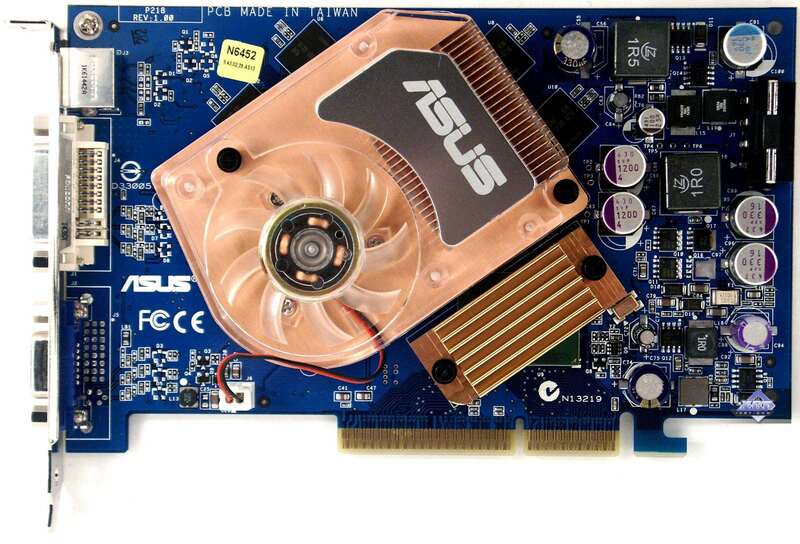 According to the test results, ASUS Extreme AX800XL 256MB gets the Original Design award (March). 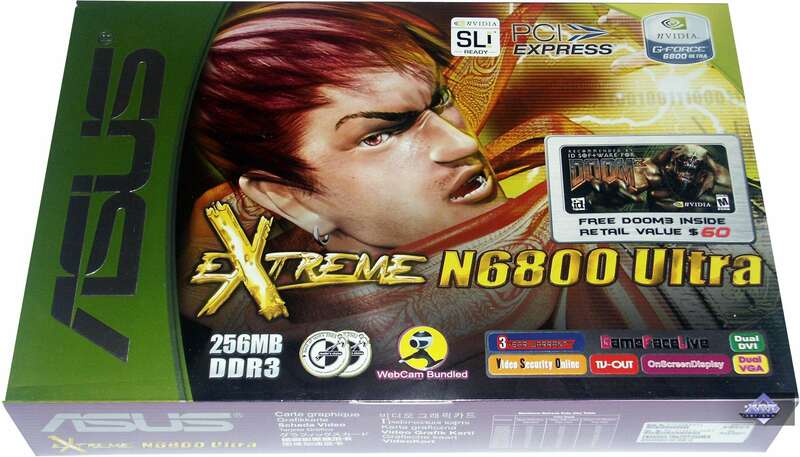 Besides, ASUS Extreme N6800 Ultra 256MB gets the Original Package award (March).